Probably my absolute favorite way to use cable knit decor is to add it as a bed runner. It makes a pristine looking bed seem inviting. 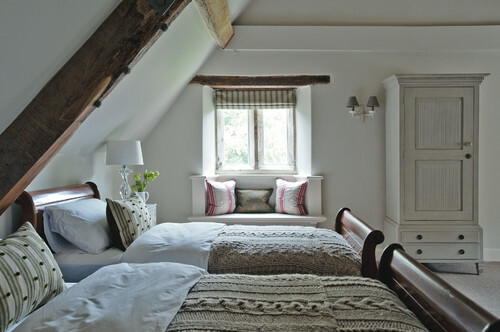 The same effect can be achieved with a cable knit throw. Plus, you can actually use it to snuggle up in a side chair. 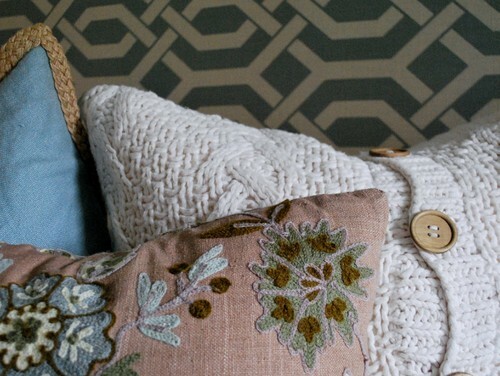 Pillows are at the very top of the trending chart right now, when it comes to cable knit decor. 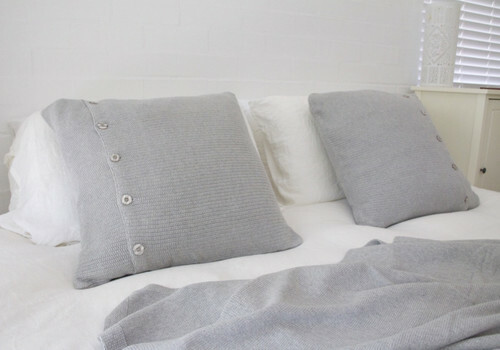 There are a multitude of fashionable ways that a pillow can be designed with knitting. If you enjoy the craft, this is a great project. If you have never knitted anything in your life, a pillow cover is still a great way to cut your teeth on this skill. 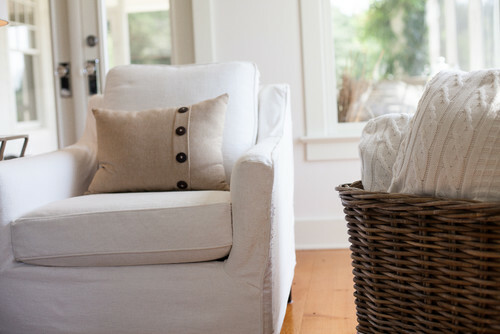 Just like the bed, a sofa is the perfect place for a cable knit throw or blanket. Nothing is better for a chilly day with a good book. Pillows can also be a welcome and inviting feature in the living room. Consider adding extras to baskets. They make great decorations as well as functional pieces. 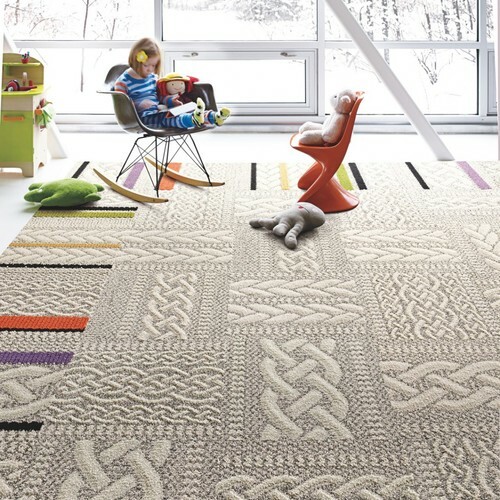 Cable knit decor has become so popular that you can now find rugs in that design. If you have an old sweater that you just don’t know what to do with, consider framing it. (This is especially a great way to memorialize a child’s clothing). 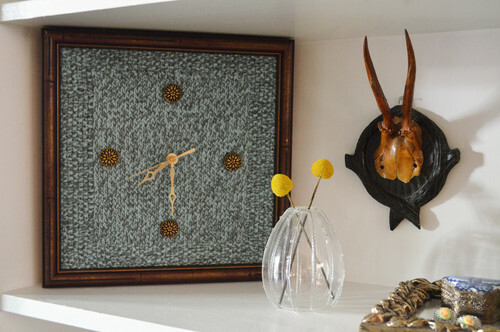 It adds texture as well as color to a wall or shelf. A cable knit pouf or two are also great pieces of decor. I like them in the living room and bedrooms, but here are a few in the bathroom. I imagine that the photographer did this purely for texture within this photo. However, it displays the pouf quite nicely as well. 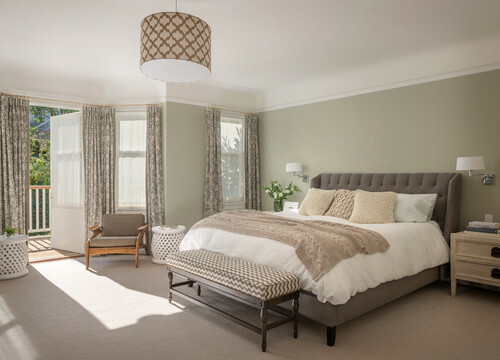 However you decide to decorate your interior, remember that cable knit decor can add warmth and texture. If you don’t like the look year round, consider just pulling these out for the Fall and Winter months.